For Swiss people, privacy has been a sensitive topic since the snooping scandal in 1989. When it was revealed that the government had been massively collecting information on citizens suspected for what they called “un-Swiss” behavior, it sparked public resentment. Back then, outraged people went into the streets protesting against this privacy-threatening practice. Paradoxically, 17 years later, Swiss voters have expressed an approval for enhanced powers for intelligence agencies. Let’s take a closer look at what’s happening with privacy in Switzerland. Strict privacy laws, being located outside of EU and US jurisdiction and political neutrality are the key things that make Switzerland stand out among other countries in terms of protection of citizens’ privacy. But situation is about to change after this summer, as the new law enhancing the government spying powers comes into force in September. Under the new law, the Federal Intelligence Service (FIS), the intelligence agency of Switzerland, will be granted remarkably greater capabilities than they possess now. The authorities will be allowed to spy on private communications by monitoring emails and Internet traffic, tap phones, hack into citizens’ computers and install malware. Also, the FIS will be able to put spyware, such as surveillance cameras and microphones, to monitor suspects in private locations and even deploy drones. Briefly speaking, the new law – the Nachrichtendienstgesetz (NDG) – makes the state monitoring way more invasive. Before the introduction of the new law, tapping phones and snooping on emails would have been an impossible case, as it is forbidden regardless of circumstances. However, such snooping practises are set to become investigatory tools. Why Switzerland wants to increase spying powers? The “surveillance” law proposal emerged as a response to the horrifying terror attacks in Paris, Brussels and Nice, which shocked Europe. According to the Swiss government, their intelligence agency was too reliant on help of foreign officials. Also, as for now, the governmental agencies are relying mostly on publicly available data. Due to these limitations, Switzerland’s security services are believed to lack the effectiveness required to ensure domestic security. Therefore, the effort to enhance the spying powers was initiated in order to help Switzerland catch up with the level of other developed countries. Combating terrorism, espionage and dissemination of weapons is what the new powers will be used for. According to the authorities, Swiss citizens shouldn’t be concerned about mass spying, as the enhanced monitoring practices will be used for “special investigations” only, and they should account for approximately 10 cases per year, according to the estimate. It is important to note that the new surveillance regime does not compare to those strong privacy-diminishing policies seen in the US or UK. Firstly, the major spying on a suspect can only take place if it gets approved by three institutions – the defence ministry, the cabinet, and the federal court. Secondly, Switzerland chooses to be uniquely transparent: the intelligence agency will be obliged to inform suspects under monitoring of how long and by what means they were spied on. Despite of these control measures, a concern arises that the new snooping powers may be abused by invading the privacy of Swiss people. With such extensive spying capabilities granted, there is always a risk of innocent people falling under the magnifying glass for no valid reason. From the very beginning, there seemed to be mixed feelings regarding the legislative changes. 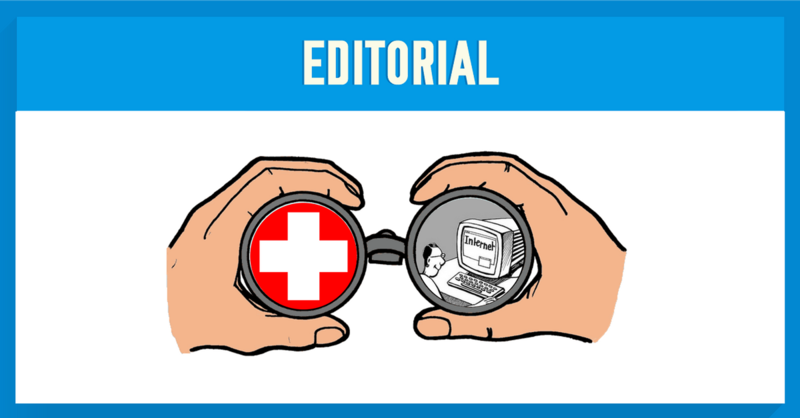 The Swiss parliament passed the new law in 2015, but not with absolute approval – the opposing parties and other privacy advocates weren’t happy about the upcoming monitoring expansion. Switzerland’s system of direct democracy allows to challenge any law with a referendum if 50,000 signatures are collected to force it. And this is exactly what happened with the surveillance law in question – the Swiss got a chance to decide by themselves whether they want the Federal Intelligence Service to get more powers or not. Surprisingly enough, 66.5% Swiss voters have said ‘yes’ to the new surveillance law. Obviously, this wasn’t what the law opposing parties and privacy activists had expected. The voting results show that the attitudes of the Swiss people towards privacy are changing. Otherwise, how come such a privacy-guarding nation would trade it away so easily? The extremist attacks in the neighboring countries might have played a major role in shifting the public opinion towards tolerance for spying. Will the new law truly help to fight terrorism and cyber crimes or it will just invade the Swiss’ privacy and curtail civil liberties? The only way to know if it brings more benefits for domestic security is to wait and see how the new law will be executed. In the light of growing surveillance powers, it is important to take safety measures on your own, no matter if you live in Switzerland or in any other corner of the world. The good way to protect your personal data from both cyber criminals and unwanted snoopers is to use a VPN service whenever you go online. Make sure to choose a VPN service provider that respects your privacy and keeps no logs of your Internet activity, like NordVPN.